With over 2000 square feet, 4 bedrooms, and 3 baths, this amazing home could be utilized as a weekend getaway or a full time home. 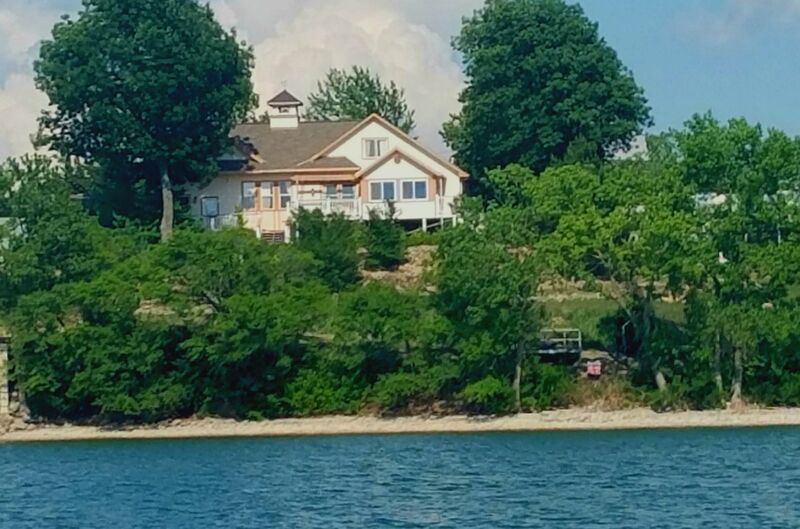 Located just south of the Council Grove City Lake Dam, the property overlooks the main body of the lake and offers spectacular views. The inside of the home has a southwestern flair with a spacious open living room and kitchen area that enters into a four season room with windows that show off the beauty of the lake. There is a separate entertaining room that enters onto a deck that also faces the lake. Some of the features include a brand new HVAC system, appliances, laundry room with washer/dryer, unique landscaping, attached garage, and ample room for lots of guests. Come take a look at this beautiful and unique property!